Discounted Home Inspections. HouseMaster of Clermont is proud to honor the Heroes of the Clermont area through the Homes for Heroes program. 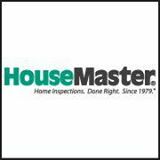 Heroes in Clermont, FL have home inspection discounts through HouseMaster. HouseMaster of Clermont, FL is offering heroes a $25 discount off home inspections. Serving Lake, Sumter, West Orange, and Marion counties.